And of course, it was a perfect opportunity to show you my new A-line skirt with yoke by Deborah Moebes of Whipstitch and show you around a bit of this part of Italy. The pattern is a very easy to sew and I like that you have a yoke instead of the usual darts. The a-line is not too flared which is also nice. And you can add patch pockets! Let me reassure you that the pocket design matching was out of pure luck…I just cut them and they happened to match! One thing I didn’t quite like about this pattern is that the front and back are the same size. According to all pattern drafting books I read and courses I took the back is supposed to be slightly smaller. This means that the back is gaping. Of course, I didn’t notice until the skirt was done (I wonder why I keep on trying on garments while I make them if I don’t notice such issues!) and have been too lazy to take it apart…though I know I should. 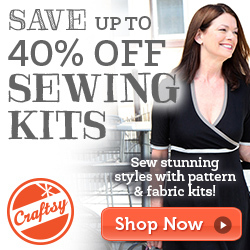 Craftsy Sweet Summer Sale 7/17-7/21 is now on. It includes How to draft an A-line skirt course. You can learn from Deborah herself for 9.99 $ (approx. 7 €). The fabric is Designer Stretch cotton canvas from Minerva Crafts. Some time ago I joined their blogger challenge and they were kind enough to select me. The fabric is fairly heavy weight but soft and slightly stretchy. So it was just perfect for a skirt project that needs a bit of structure. I didn’t even need to interface the yoke. Not to mention the town welcomes you with this gorgeous sunset and a fabulous castle famous for hosting King Vittorio Emanuele III of Italy at the end of World War II when he was fleeing Italy after the armistice. Have you packed your luggage yet? What if I tell you that this region is also renown for its wine and great food? Thankfully nobody asked me to choose between food and my sewing machine…it would be hard! La falda te quedo muy bien! Las faldas A-line estilizan mucho, a mi me encantan! Menudas fotos más bonitas…que envidia me das! Yo hasta mediados de agosto estoy trabajando, así que me tengo que aguantar! Great skirt — perfect for a beach weekend! I hate sewing darts so a yoke is something for me! Thank you for sharing your photos — what a gorgeous place! What a beautiful corner of the world, sadly Sydney is a bit too far for a casual weekend away! Your skirt is perfect for the occasion. Lovely skirt! Glad you got to the sea. My need is to dip my feet in rivers! We have an apartment in Popoli, so know that area quite well. Gorgeous, with mountains & the sea!